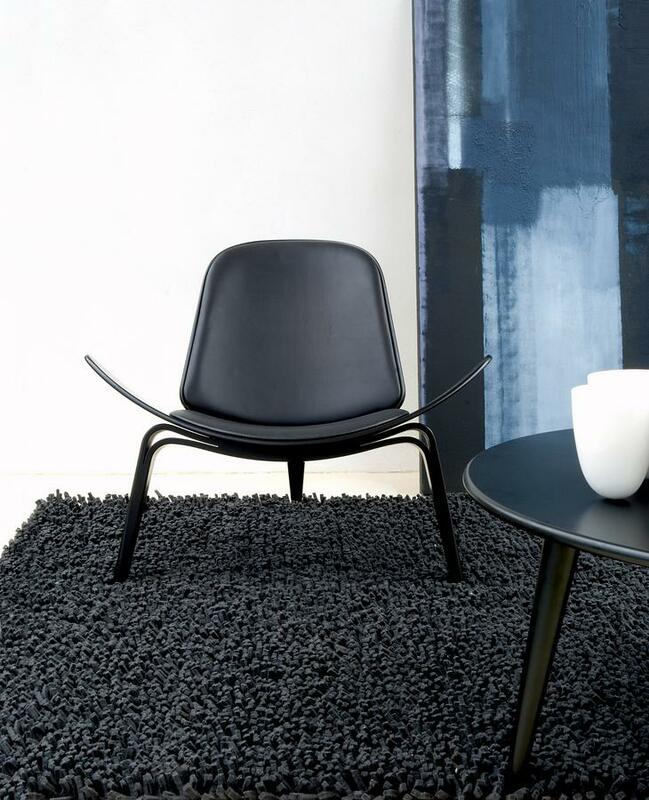 The CH07 Shell Chair, designed in 1963 by Hans J. Wegner, is an award winning classic of Danish design: combining ergonomics and functionality in an outstanding, visually impressive form. The Danish manufacturer Carl Hansen & Søn produces the characteristic shell-shaped chair crafted from pressed, robust oak in a variety of colour variations. The leather 'Thor' is a semi-aniline leather with a natural grain and coated surface. This leather can be cleaned with a mild detergent and lukewarm water. 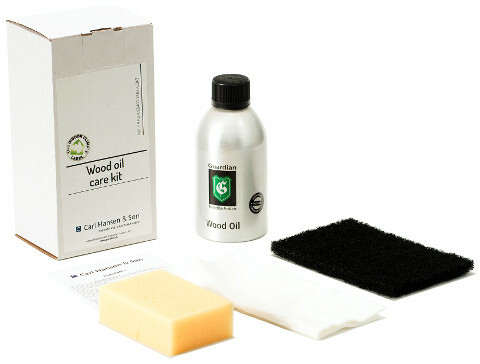 For stubborn stains, foam soap flakes and wipe the entire surface with a clean, soft cloth. Allow to dry. Sustainability In addition to the using wood principally from Danish and sustainably managed forests Carl Hansen source all materials for their furniture according to criteria of ecological sustainability. In addition all manufacturing processes are designed so as to ensure the lowest possible energy consumption. While, and indeed ultimately, the high quality and timeless design of the furniture means that it need never be replaced! 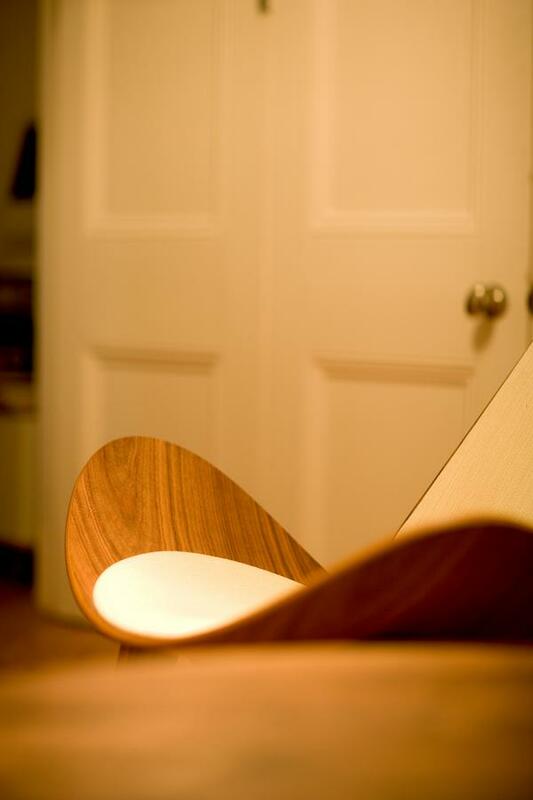 The CH07 Shell Chair by Hans J. Wegner enjoyed for a long time the status of a work of art. Designed in 1963, the bold, avant-garde design of the CH07 was widely and largely admired by the critics, was however greeted by the wider public with a more cautious, reserved, reception. Consequently the CH07 was initially only produced, and so sold, in relatively small quantities. 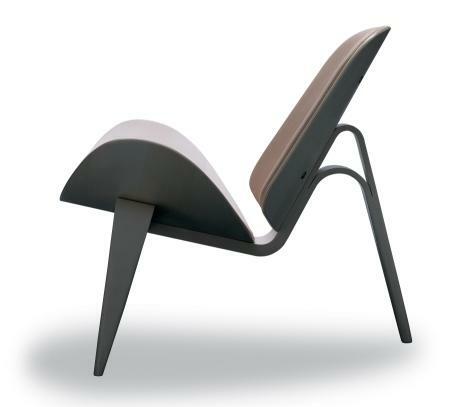 It wasn't until the 1990s when the CH07 started to achieve notable prices at auctions that the public finally warmed to Wenger's design and began to understand the chair's functional, minimal design in which a large shell-shaped seat and curved chair legs combine to produce a reduced stable construction. Also known as the Shell Chair the CH07 is a excellent example of Hans J. Wegner's search for the creation of a comfortable, ergonomic chair. The CH07 by Hans J. Wegner CH07 has been produced since 1963 by the Danish carpentry and furniture manufacturer Carl Hansen & Son. Crafted from form pressed oak veneer the CH07 is today manufactured in Aarup, Denmark, where Carl Hansen & Son have operated a modern production facility since since 2003 which combines contemporary technology with traditional manual labour. As with the majority of the wood processed by Carl Hansen, those used used for the CH07 principally originate from sustainably managed Danish forests. The seat and back cushions are formed from with polyurethane foam upholstered in the Thor. leather covers. Thor is characterized by its flexibility and high durability and is available in a range of colours. The son of a shoemaker Hans J. Wegner was born in 1914 and began his career as a designer, as with so many of his colleagues, with a carpenter apprenticeship. Following the completion of his carpentry training Wegner began studying at the School of Applied Arts Copenhagen before subsequently established himself as an independent architect. From 1940 Wegner moved his main focus completely on the furniture design: important factors in this decision was on the one hand a collaboration with Arne Jacobsen and Eric Moller for the new town hall in Aarhus - a project for which Wegner designed a series of chairs - and secondly 1940 saw him begin a collaboration with the furniture producer John Hansen. 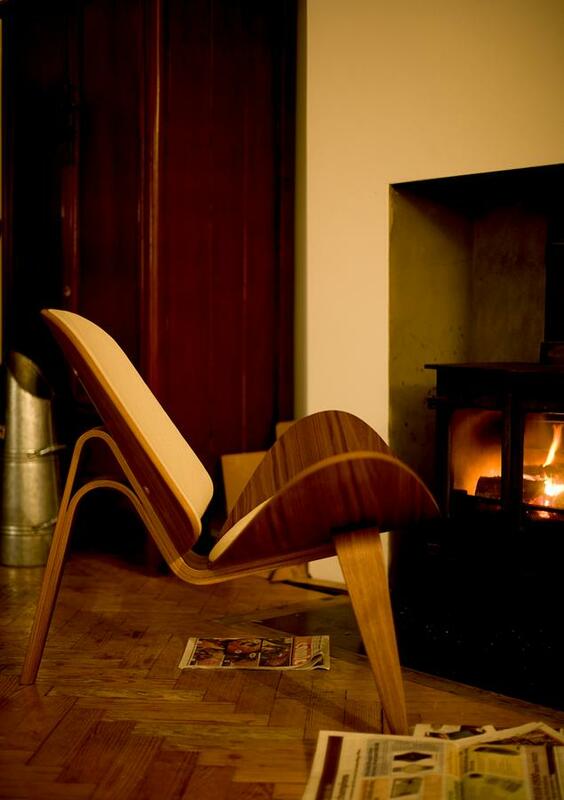 In 1949 Wegner began realising chairs exclusively for the company Carl Hansen & Son, at that time one of the leading Danish carpentry companies and a concern who were increasingly focusing on the production of contemporary furniture designs. Wegner's contribution to this development includes classic chair design such as the CH22, CH23, CH24 and CH25 - and of course the CH07. During his life, Hans J. Wegner developed over 500 models, mostly wooden chairs. 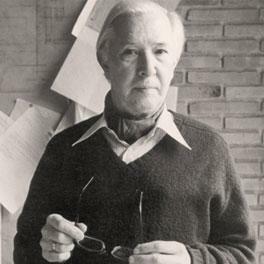 Hans J. Wegner designer of the CH07 for Carl Hansen & Søn. 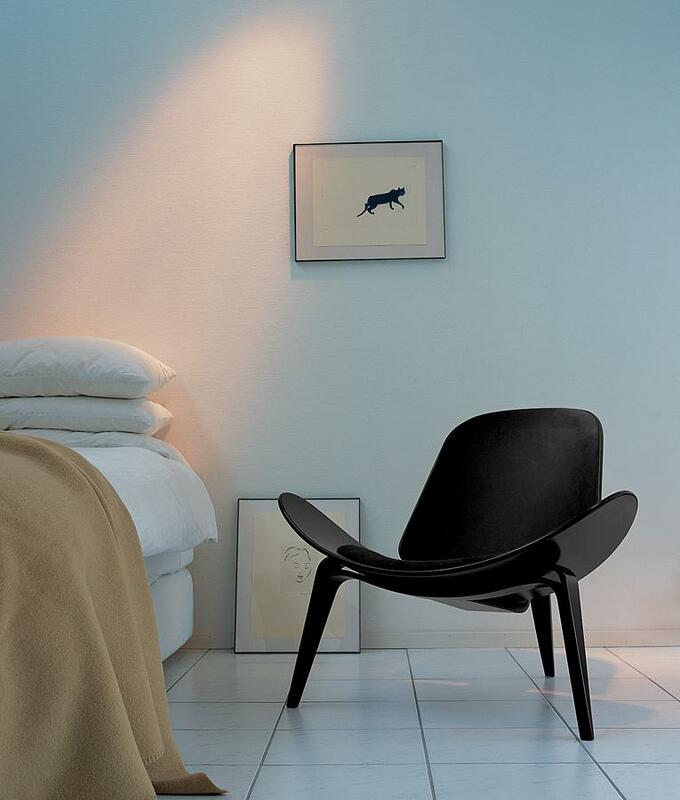 The CH07 is manufactured by the Danish furniture manufacturer Carl Hansen & Son. Founded in 1908 as a small carpentry firm Carl Hansen & Son has always focussed on products which combine perfect craftsmanship with meaningful series production with the aim of producing high quality furniture at affordable prices. Principles which today mean combining traditional carpentry with the latest production technologies. 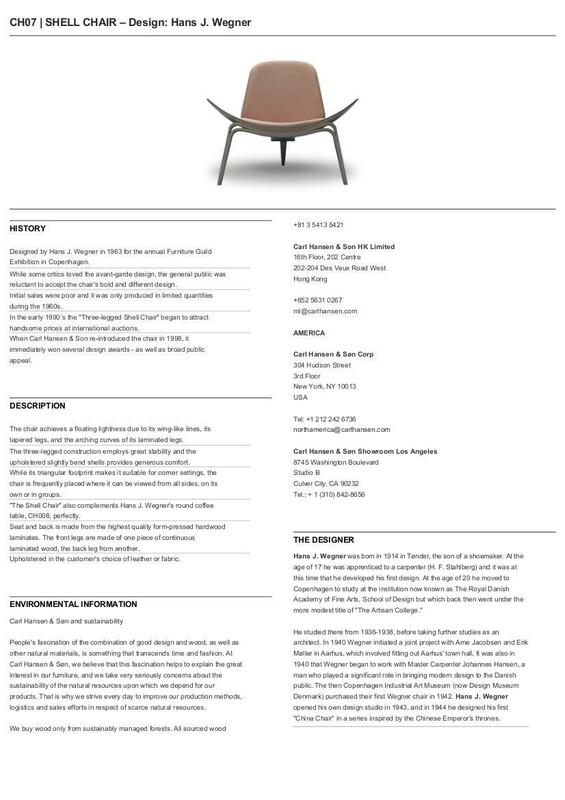 Although the Carl Hansen & Son portfolio is largely composed of designs created by leading 20th century Danish architects such as Frits Henningsen, Mogens Koch and of course Hans J. Wegner, Carl Hansen & Son also produce newer designs such as the 1997 MG501 Cuba Chair by Morten Gottler. 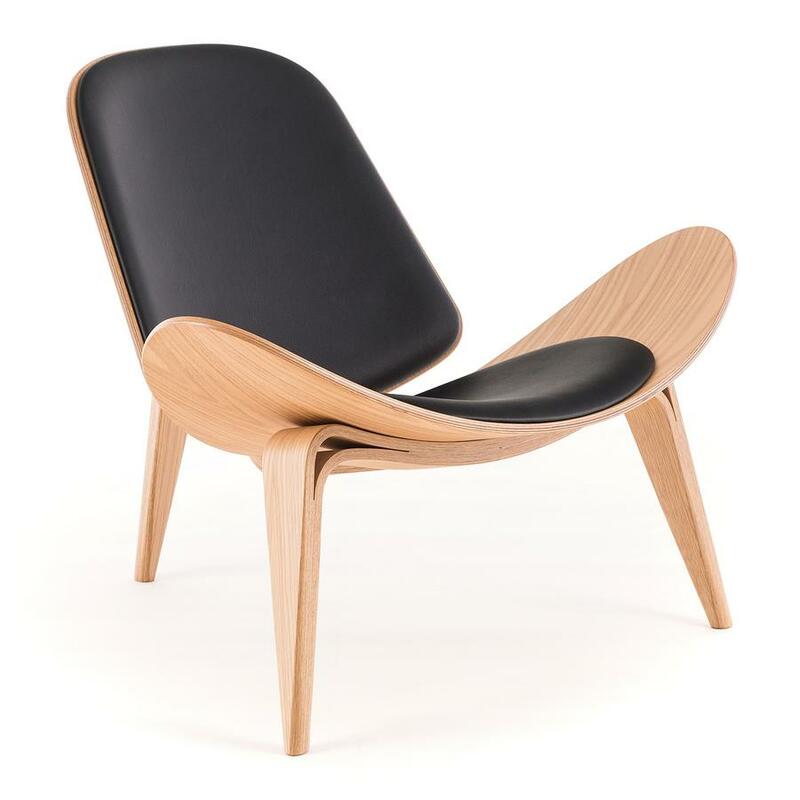 High quality wood and fine leather alovingly combined to create Scandinavian design classics. Hans J. Wegner is one of the most important representatives of Danish modernism and with his chair designs he helped paved the way for the international breakthrough of Scandinavian design after the Second World War. 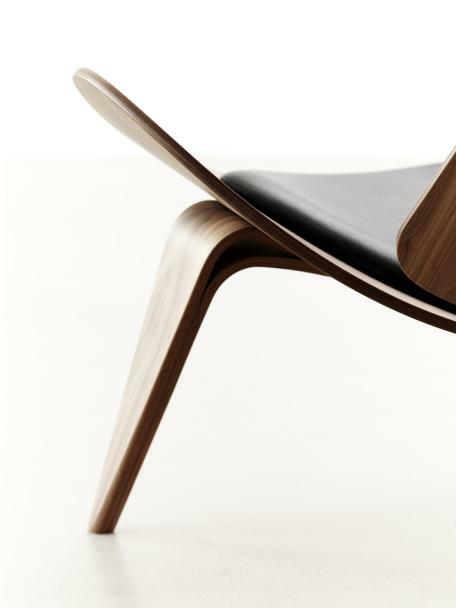 Largely inspired by the universal understanding of the day that "form follows function", Wegner created functional design solutions based on the new production methods of the day, yet without ever losing sight of the central role of traditional craft techniques. For both Wegner and Carl Hansen & Son the aim was to develop functional, beautiful furniture that was affordable for large sections of the population. 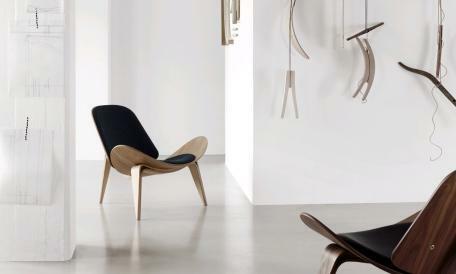 Central to Wegner's chairs, such as the CH07 Shell Chair or the CH24 Wishbone Chair is the warm, organic form language and the deliberate integration of traditional Danish craftsmanship in the production process. Accented organic form languages and the utilisation of traditional carpentry crafts define Scandinavian furniture designs of the 1950s and 60s.